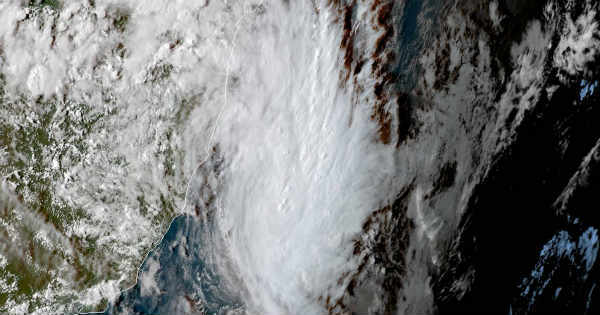 Tropical Storm Iba swirls off the southeastern coast of Brazil on Sunday afternoon, becoming the first tropical system to be identified in the South Atlantic since 2010. The storm is expected to shake the states of Bahia, Espirito Santo and Rio de Janeiro. Inhabitants of cities like Vitoria, Porto Seguro, Montes Carlo and Salvador would witness rounds of thunderstorms, torrential rains and gusty winds. This may lead to air travel disruptions in the region due to limited visibility. Flooded roadways will also be a likely feature during this period. More gusty storms are expected to move through the coastal parts of Espirito Santo and Rio de Janeiro tonight. However, in the next couple of days Iba is expected to move southeastward, away from the Brazil coast due to which storms and winds might lessen. People are advised not to venture into sea as rough surf conditions might persist for a couple of days. Such storms in the South Atlantic are a rare phenomenon. But, they are a frequent occurrence in other ocean basins of the planet. Tropical storms are formed when Sea Surface Temperatures (SSTs) are high along with less wind shear. However, in the South Atlantic, the wind shear is generally too high with low Sea Surface Temperatures (SSTs). Thus, making it almost very rare for the South Atlantic to witness any such activity.